A magnitude 5.8 earthquake rattled the eastern Indonesian province of West Papua on Friday, the U.S. Geological Survey said, causing nervous residents to panic about a week after a tsunami killed hundreds further west in the archipelago. The epicentre of the quake was on land near the city of Manokwari at a depth of 55 km. 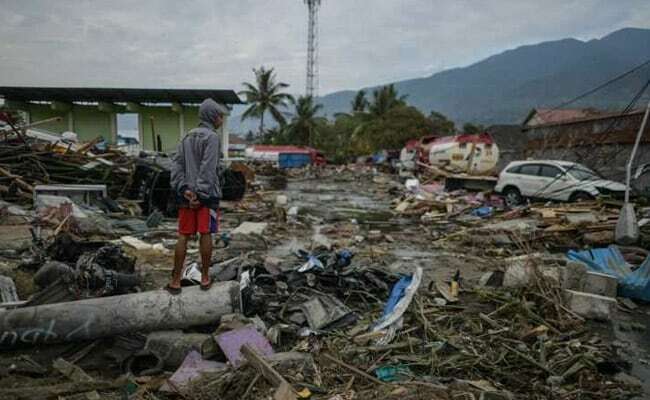 The Indonesian meteorological agency said it did not have the potential to trigger a tsunami. A tsunami caused by the collapse of part of a volcano crater on Saturday killed at least 430 people when waves of up to 5 metres smashed into the Sunda Strait between the islands of Java and Sumatra.